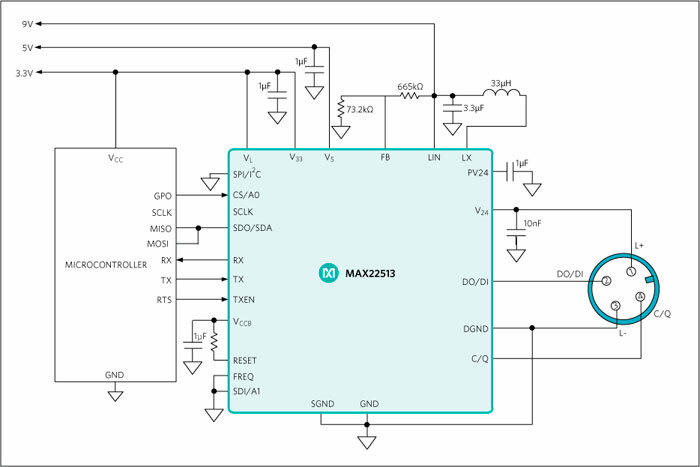 Designers can now enable smarter digital factories with the MAX22513 surge-protected, dual-driver IO-Link® device transceiver with integrated DC-DC buck regulator from Maxim Integrated Products, Inc. As the industry’s smallest, most power-efficient and robust IO-Link device transceiver, it is ideal for industrial IO-Link sensors and actuator devices. The MAX22513 continues Maxim’s leadership in enabling adaptive manufacturing for Industry 4.0 applications. 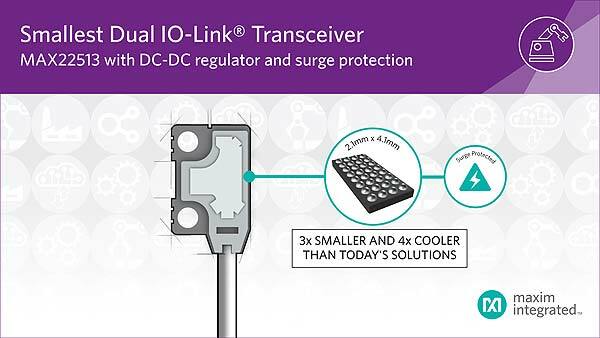 By integrating the DC-DC regulator and surge protection while providing 4x lower power dissipation and 3x smaller size versus the closest competitor, Maxim continues to enable the trend towards shrinking IO-Link designs that need robust communications with faster time to market. In addition, integrated surge protection and reverse polarity ensure robust communications in harsh industrial environments to speed up the design process. The IC operates over the -40-degree Celsius to +125-degree Celsius temperature range and is available in both a 28-pin QFN package (3.5mm × 5.5mm) and a WLP (4.1mm × 2.1mm). “High integration of this caliber has many benefits, but also provides simpler design and faster time to market for designers,” said Susie Inouye, research director at Databeans.